Maverick girls' tank top by Punk Rave. 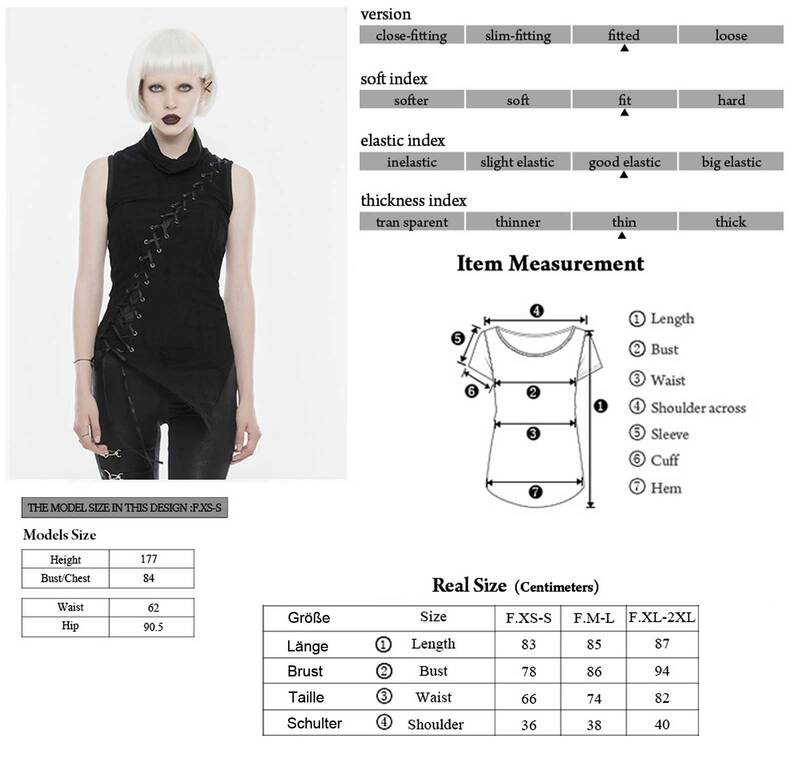 Sleeveless, asymmetric cut. Diagonal lacing over bust and back with transparent mesh lining. Loose turtleneck. Maverick girls' tank top by Punk Rave. Sleeveless, asymmetric cut with side dip front and back. Eyecatcher is the diagonal lacing over bust and back with transparent mesh lining. Loose turtleneck. The fabric is slightly elastic - but Punk Rave turns out smaller!